Search Results for "nyc subway train"
NEW YORK CITY - Circa, July, 2014 - A unique perspective of looking out the front of a New York City subway train as it moves through the tunnel. 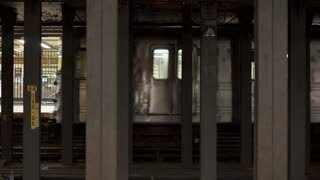 Cinematic beautiful shot of New York City subway train stopping at station, people's legs walk in and out at platform. 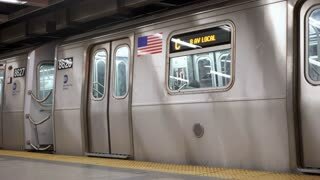 A New York City subway train arrives at an underground platform. Blank sign on pillar for customization. 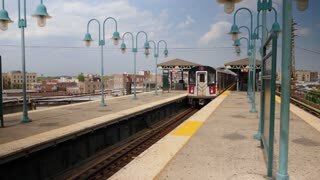 New York City subway train traveling towards Coney Island on the Manhattan Bridge. Captured in slow motion with partial views of NYC in the background. New York City Subway train heading to Coney Island traveling from downtown on the Manhattan Bridge in the afternoon with partial views of NYC in the background. New York City, USA - 20 May 2015: Passengers sitting inside NYC subway train on Manhattan. New York City, USA - 20 May 2015: Passengers and NYC subway train on Midtown Manhattan. New York City, USA - 20 May 2015: Passengers inside NYC subway train on Midtown Manhattan. New York City, USA - 20 May 2015: Passengers getting off and on NYC subway train in Midtown Manhattan. 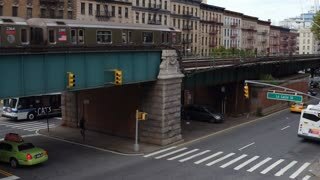 A moving New York City subway train traveling over the Manhattan bridge looking South. Flickering lens flares from the sun created by the beams of the bridge. The iconic skyline of lower Manhattan in the distance. Interior view of New York City Subway train with no passengers on board. 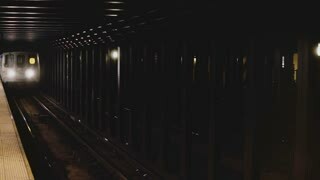 Pan from left to right inside empty subway car. 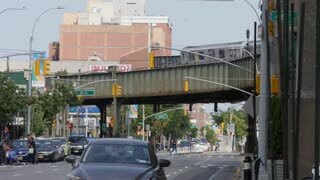 Traveling on a NYC Subway train above ground with views of the Manhattan Bridge, partial views of the Brooklyn Bridge and the Lower Manhattan skyline.